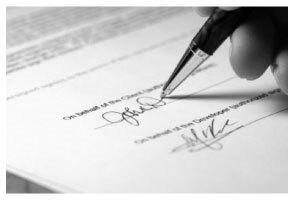 A conveyance of lands or of any estate or interest therein in Missouri can be made by deed executed by any person having authority to convey the same, or by his agent or attorney, and recorded as directed, without any other act or ceremony (442.020). Widely used forms for the conveyance of real property in this state are warranty deeds and quitclaim deeds. Real estate in Missouri can be conveyed in various ways and by various people. For instance, individual people, groups of people, and organizations alike have the power to hold and convey real property in this state. The following guidelines, as listed in the Missouri statutes provide specifics on real estate conveyances: Private or public corporations in Missouri that are authorized to hold real estate may convey their real estate by a deed, sealed with the common seal of the corporation (442.060); a husband and wife may convey their real estate by their joint deed, acknowledged and certified as provided by Missouri statutes (9442.030); and a person under 18 years old who is married to an adult who has or claims any interest in real estate and wishes to convey, encumber, lease, or otherwise dispose of or affect the same will be deemed of age for the purpose of joining with his/her adult spouse in the execution of a conveyance affecting the spouse's real estate (442.040). It should also be noted that adverse possession of land in Missouri will not exclude a person from conveying such property. Any person claiming title to real estate, notwithstanding there may be an adverse possession thereof, may sell and convey his or her interest therein, in the same manner and with like effect as if he or she were in the actual possession thereof (442.070). Alien land ownership in Missouri is limited to or extended to the following provisions: Persons who are not citizens of the United States, are not U.S. residents, and corporations not created by or under the laws of the United States are capable of acquiring real estate by grant, purchase, devise, or descent, except agricultural land or any interest therein in Missouri and are also capable of owning, holding, devising, or alienating the same, and will incur the same duties and liabilities in relation to the property as if they were citizens of the United States and residents of Missouri. The provisions of sections 442.560 to 442.591 do not apply to agricultural land located in counties bordering the state of Oklahoma which was owned by such a person described in this section prior to January 1, 1995 (442-560). Regardless of who owns the property---alien, corporation, or an individual---the manner of conveyance is dictated by the terms of ownership. In order to be recorded, a real estate deed must be acknowledged by the grantor (or grantors). The proof or acknowledgement of every conveyance or instrument in writing affecting real estate in law or in equity should be taken by one of the following courts or officers: (1) If acknowledged or proved within this state, by some court having a seal, or a judge, justice, or clerk thereof, or a notary public; or (2) if acknowledged or proved in another state, then acknowledgments must follow the laws of that state (442.150). Every court or officer taking the proof or acknowledgment of any conveyance or instrument of writing affecting real estate, shall grant a certificate thereof, and have it endorsed on such conveyance or instrument of writing (442.180). Charter counties in Missouri, such as Jackson, St. Charles, Jefferson, and St. Louis, including the City of St. Louis, may have different ordinance regulations pertaining to the recording requirements. It is important to check with the register of deeds in any of those counties before recording a document. In all cases, additional requirements, such as the document format and the inclusion of pertinent information must be met before recording can take place in Missouri. Every instrument in writing that is certified and recorded in the manner prescribed by Missouri statutes will, from the time of filing with the recorder of deeds for record, impart notice to all persons of the contents of the instrument and all subsequent purchasers and mortgagees are deemed, in law and in equity, to purchase with notice (442.390). A deed or other instrument in writing will not be valid, except between the parties thereto, and those who have actual notice of the instrument, until it is recorded by the county recorder (442.400). Real estate deeds must be recorded in the county in which the property is located. Ron D. said: No choice since the county does not seem to provide info you supplied. Reply from Staff: Thank Ron, have a great day! Reply from Staff: Thanks so much Hilda, have a great day! Michael L. said: Perfect timely service! Will use again!